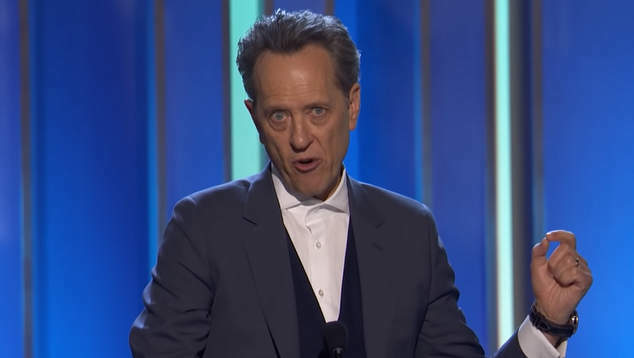 Actor Richard E Grant has been named Best Supporting Actor at the Independent Spirit Awards, dedicating his award to the generation lost to HIV/AIDS. Grant won for his role as Jack Hock in the film Can You Ever Forgive Me? The biographical film tells the story of lesbian writer Lee Israel who forged personal letters of famous writers. Hock died of an AIDS-related illness in 1994 at age 47. Accepting the award Grant said his performance was inspired by the actor Ian Charleson. ‘I feel absolutely astonished and emotional about this, thank you very very much. “The person that most inspired my performance was an actor called Ian Charleson, who played the lead in Chariots of Fire.” Grant said. The Independent Spirit Awards, that were held in Santa Monica on Saturday, celebrate the best of independent films. This morning Grant will be at the Academy Awards in Los Angeles where he is nominated for the Best Supporting Actor award. He faces stiff competition from Mahershala Ali for Green Book, Adam Driver for BlackkKlansman, Sam Elliot in A Star is Born and Sam Rockwell in Vice. Watch Richard E Grant’s acceptance speech below.